DETROIT - Another problem has developed with automotive air bags, this one resulting in recalls of up to 5 million vehicles worldwide. Continental Automotive Systems says in documents filed with the U.S. government that moisture can get inside its air bag control computers, causing the power supplies to corrode and fail. 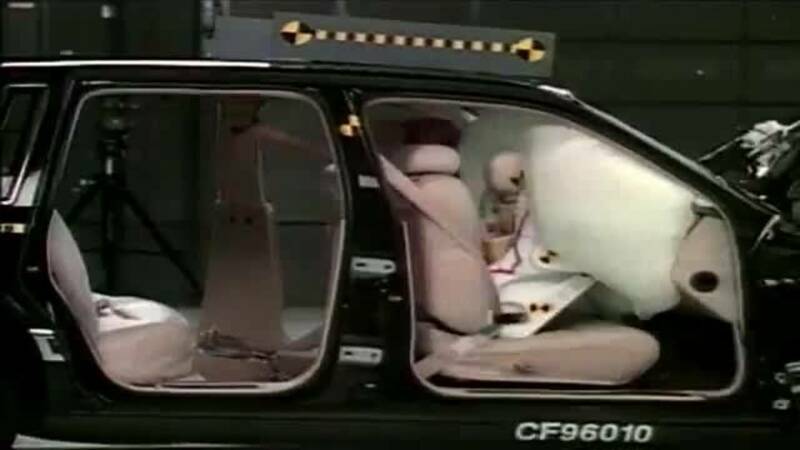 If that happens, air bags may not inflate in a crash or they could deploy without a crash. The documents, posted Thursday by the National Highway Traffic Safety Administration, say Continental will notify automakers, who will recall cars dating as far back as 2006. Already Honda, Fiat Chrysler and Mercedes have issued recalls. Honda reported two injuries from the problem. Automakers will replace the computers at no cost to owners, according to documents. The announcement comes in the middle of a recall crisis involving Takata Corp. air bag inflators. About 24 million U.S. vehicles are being recalled for that problem. It's the largest automotive recall in U.S. history. Takata's inflators can explode with too much force, blowing apart a metal canister and sending shrapnel into the passenger compartment. At least 11 people have died worldwide from the problem, and 139 injured. In the documents, Continental says its problem first surfaced in January of 2008 when it analyzed a malfunctioning control unit that was removed from a Mercedes vehicle. The company continued to investigate, and in early 2011, Continental was told of two inadvertent air bag deployments in Mercedes and Fiat Chrysler vehicles. Last year, Honda reported two malfunctions in crashes involving 2008 Accords, and U.S. safety regulators began investigating, according to the documents. Continental said it knows of more than 600 parts that were returned due to the problem. On Wednesday night, Honda said it would recall 364,787 2008 to 2010 Accord sedans worldwide because of the issue. The company says the air bags may not inflate in a crash. Honda said it has two reports of people being hurt because the air bags didn't deploy in a crash. On Thursday, Fiat Chrysler announced that it's recalling 112,000 2009 Dodge Journeys and 2008 and 2009 Dodge Grand Caravan and Chrysler Town & Country minivans for the same problem. Last year, Mercedes recalled 126,260 C-Series cars from 2008 and 2009 and 2010 GLK350 vehicles because of the problem. Continental says any malfunction will cause the air bag control computer to shut down, and that will trigger a dashboard warning light. Honda said it would notify owners about the problem, but repair parts won't be available until fall. Honda says drivers with an activated supplemental restraint system light should visit a dealer for a repair from the limited number of parts on hand.